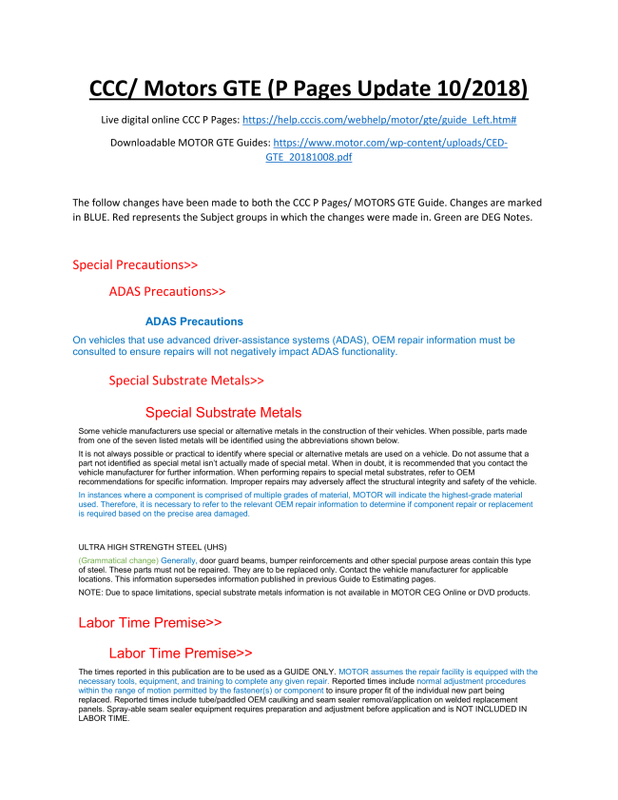 CCC/MOTOR has officially updated the P Pages/ GTE Guide online and within CCC ONE estimating program. Click Here to view a live version of the CCC P Pages. A downloadable PDF copy is also available by clicking here. The DEG has made a “Delta” report of the changes and additions made. Click here to view a copy of the changes made. More information about the changes can be read on the latest RDN Article.